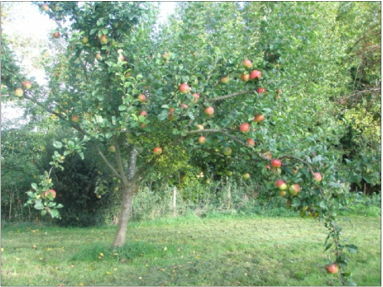 Our interesting and attractive 28-page booklet, ‘Orchards in and around Blewbury’, was prepared for Apple Day 2010 and contains a wealth of information. It is available from outlets in Blewbury for £3. Why do an orchard survey? The censuses of 1841 and 1851 provided the first guide to how fruit formed a part of village life. No one listed ‘fruit’ as part of their occupation, yet in 1851 there were four basket makers or ‘sievers’ in Blewbury. Not until 1861 did anyone list fruit as part of their work, but by 1871 there were two men listing ‘fruit dealer’ as part of their occupation It is clear, however, that fruit growing and the planting of orchards was a major part of the Blewbury life in the latter half of the nineteenth century, and this is reflected in the 1:2500 scale Ordnance Survey map published in 1877. The village envelope is defined by its trees – and especially its orchards – with surrounding open farmland. However, there was a sharp decline in fruit growing in the first half of the 20th century. 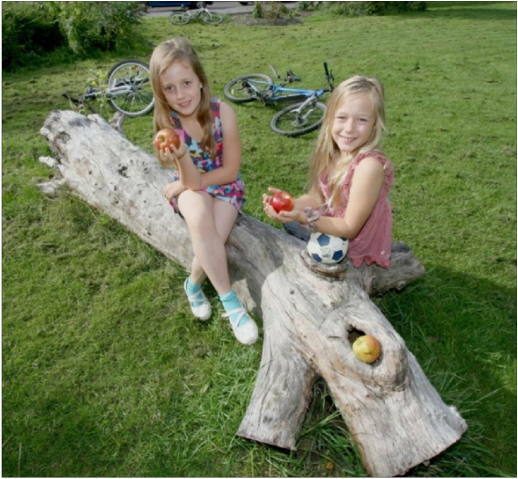 For example, Boham's House in Westbrook Street used to have a big orchard – today all that remains of it is a sorry stump used as a play area (photo). However, there has been a resurgence of planting since the Second World War and many of today’s mature trees date from the 1950s. From 2007 to 2009 a survey of the varieties of trees in Blewbury was carried out – a summary of the results is shown on our natural environment and heritage page. 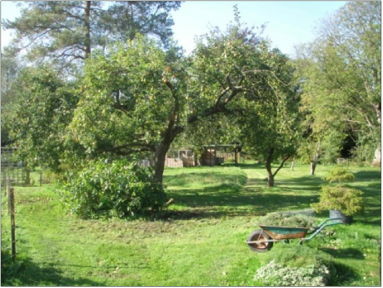 As a natural extension of that survey, and in connection with our first Apple Day celebration in October 2010, a survey of fruit trees in the village with special attention to apples was carried out in 2010. Growing in the village we have (so far) identified no less than 57 varieties of apple! 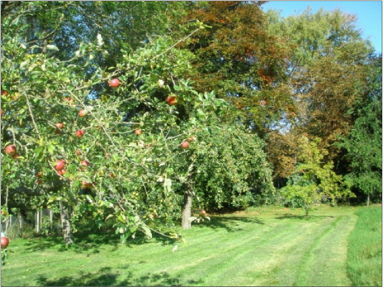 Blewbury could be looked on as one single orchard, but with large diversity of apple varieties. 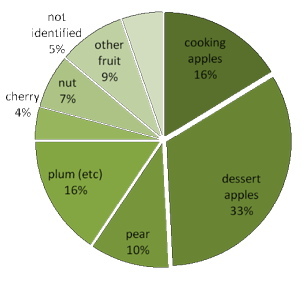 However, apples are slightly in a minority compared with other fruit and nuts, as shown in the chart below. Of the apple trees, by far the most common variety is Bramley's Seedling – easy to grow, high-yielding, and prized as a cooking apple. Cox's Orange Pippin comes second. 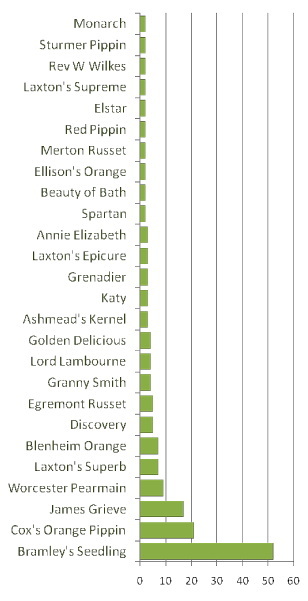 The chart below illustrates the numbers found for varieties with two or more trees in the Blewbury. Next to it is a list showing the 30 varieties that have one tree each in the village.